I love plantains so much. 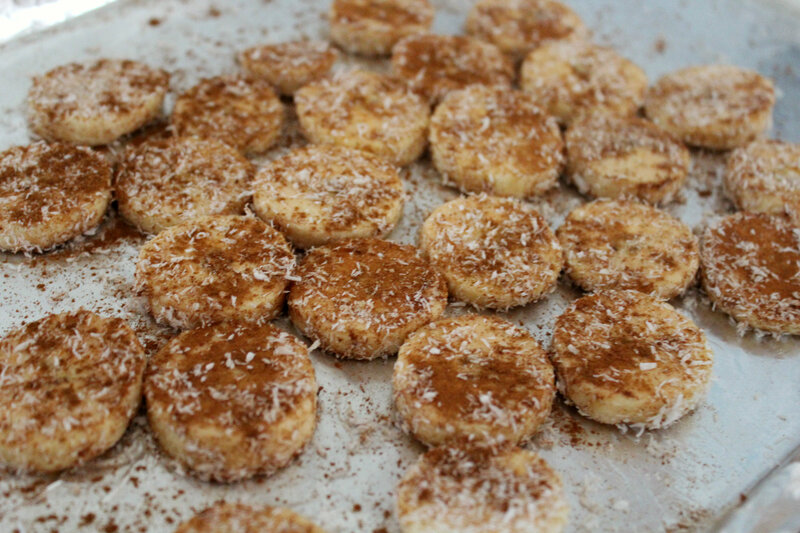 I have the chips from Trader Joe’s, but now I need to make those! Yea, because these are baked “fries” type chips with no oil and extra things! 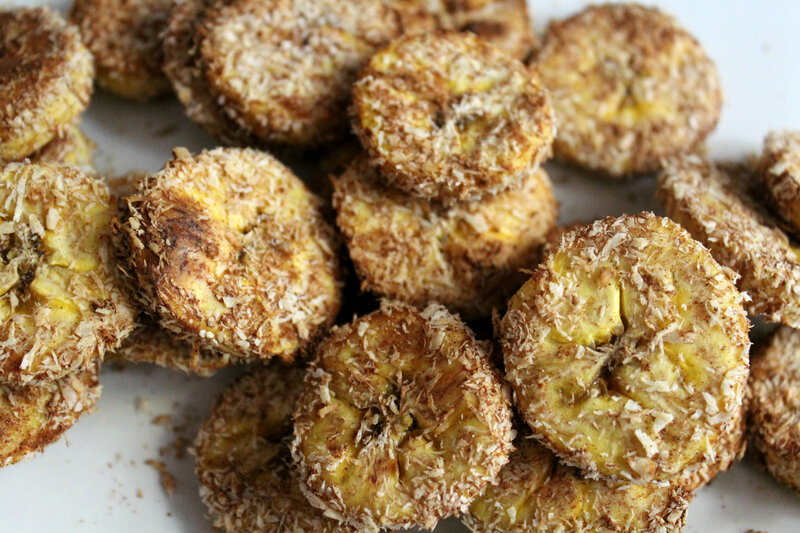 They are so good and so sweet if you use a yellow plantain! that chicken looks so tasty! and I have NEVER bought plantains. i really want to give them a try. Plantains are one of the greatest things ever! You must try them ASAP! 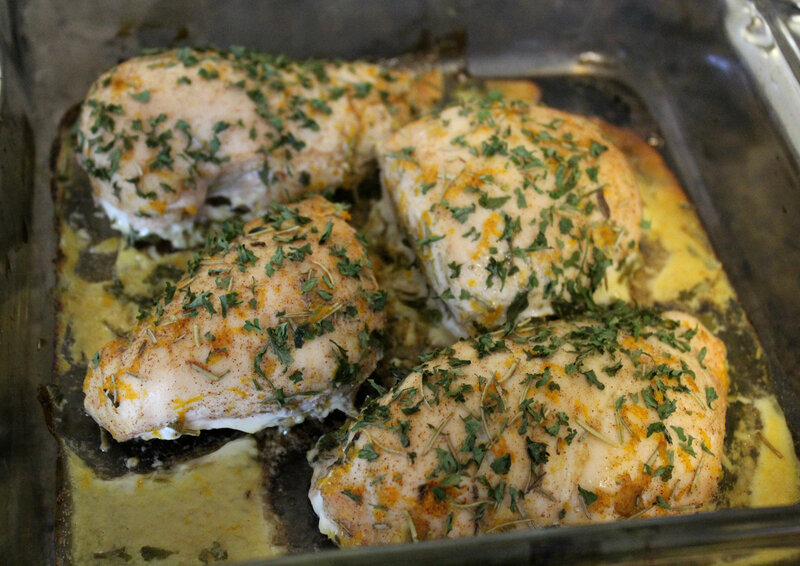 Those orange spiced chicken breasts look so yummy! Yes please! The plantain chips look awesome! I absolutely love plantain chips! I eat them whenever I can. I’m not a big fan of ketchup, I prefer BBQ sauce. Sounds really good! 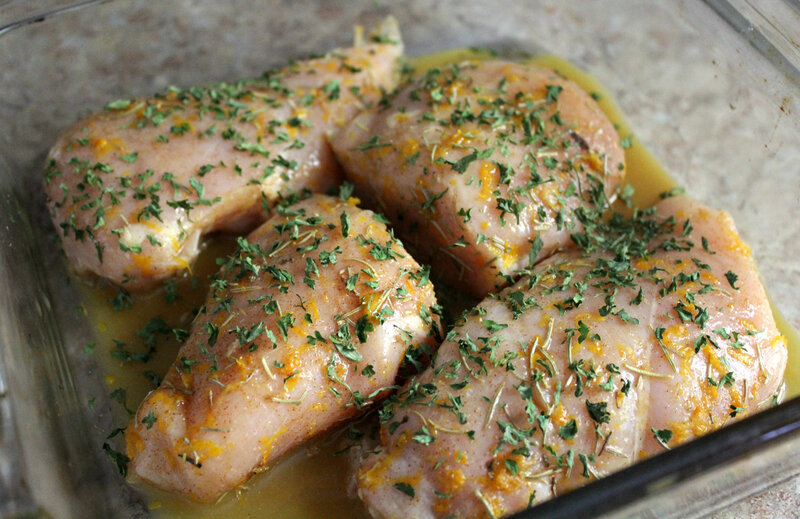 I love using orange flavor on meats! I’ll definitely have to try this! Thanks for linking up with us at LOBS! It brings such a lovely sweetness to the chicken. And I always love linking up! I would love for you to come over and link up at Wine’d Down Wednesday if you get a chance. We are partying from now until Friday! Hope to see you there! Thanks Kristin, you will not be disappointed! I’ll go check out your link-up right now! This sounds absolutely delicious and I’m always looking for new chicken recipes. Thanks for the great idea. Going to follow you on FB now so I get all of your great ideas! Thanks Britni! Let me know if you try it and thank you for following! You can never go wrong with cinnamon! 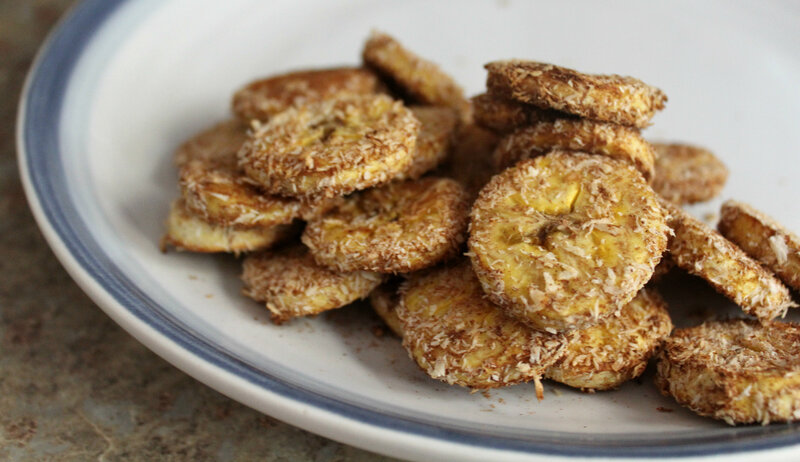 I usually make my plantain chips with cinnamon but I never thought to coat them with coconut, I love that idea! 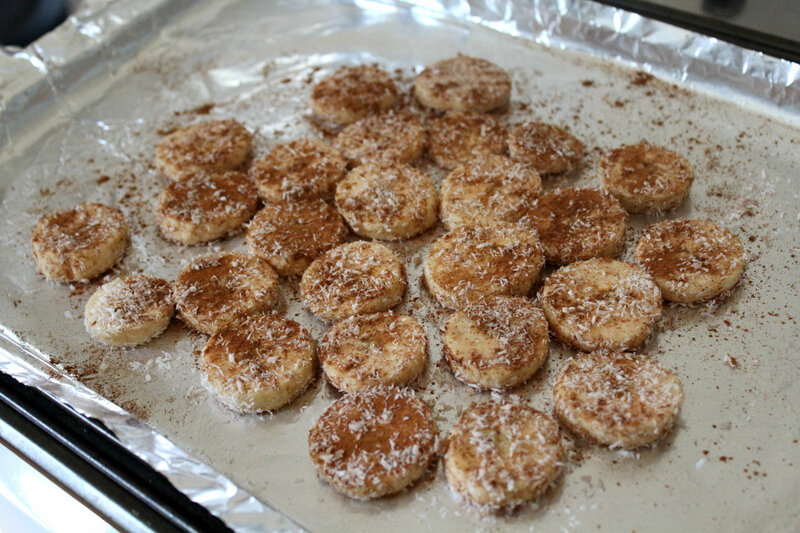 They did come out lovely so I think I’ll keep the coconut version in my flavoring rounds! But my absolute favorite way is with smoked paprika still! 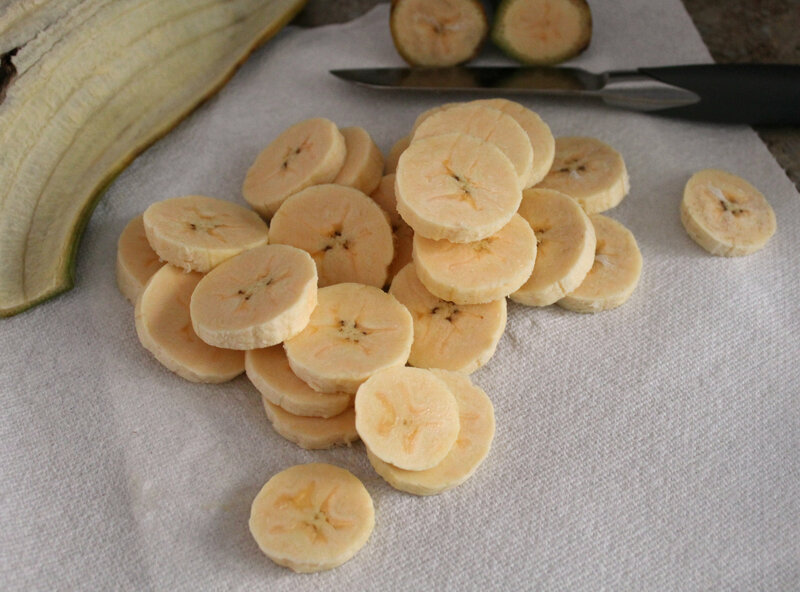 Wow, I can’t believe you made plantain chips! They are incredible! Give it a try! Haha! Ketchup love! 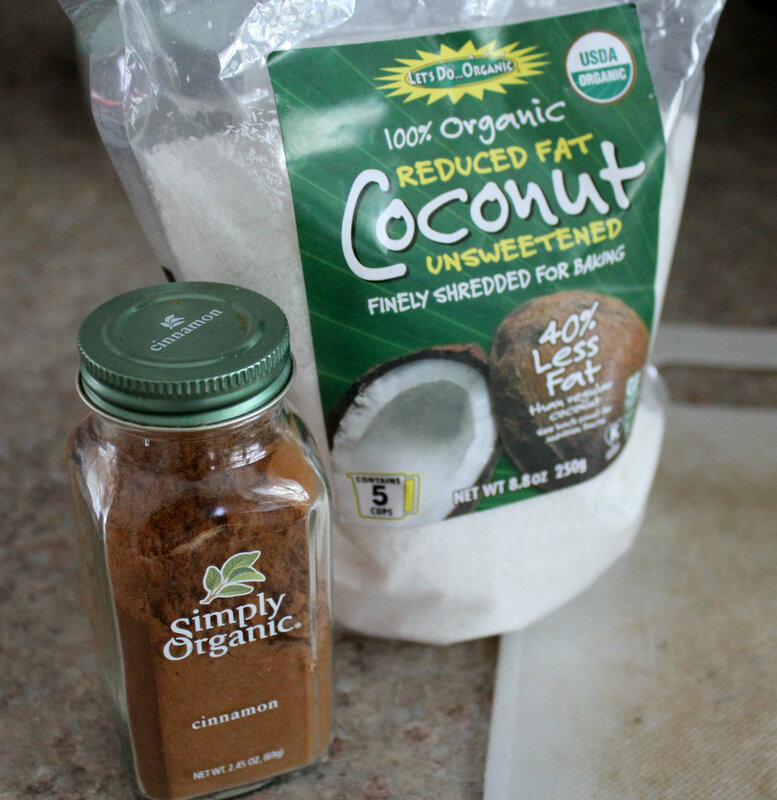 I always go for an organic brand that has no added sugar or salt (or at least very low sugar and salt) But I really want to try making my own soon! I find the organic type as well but that’s a great idea to make your own! I love your flavour combinations. The chicken looks beautiful. Haha Thanks Nikki, I wish the photos were still better! Thanks Amy! Let me know if you try it out! The plantain chips look amazing! 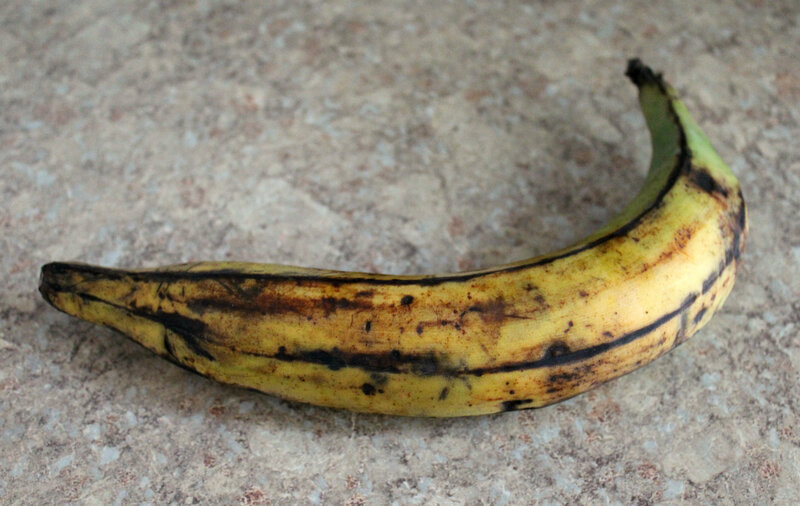 I have a very green plantain staring at me on the kitchen counter right now and I am begging it to ripen! oh my gosh both of these things look so tropical and delish and easy to make. i can see them making up the perfect summer meal. pinned! Thanks Caitlin! 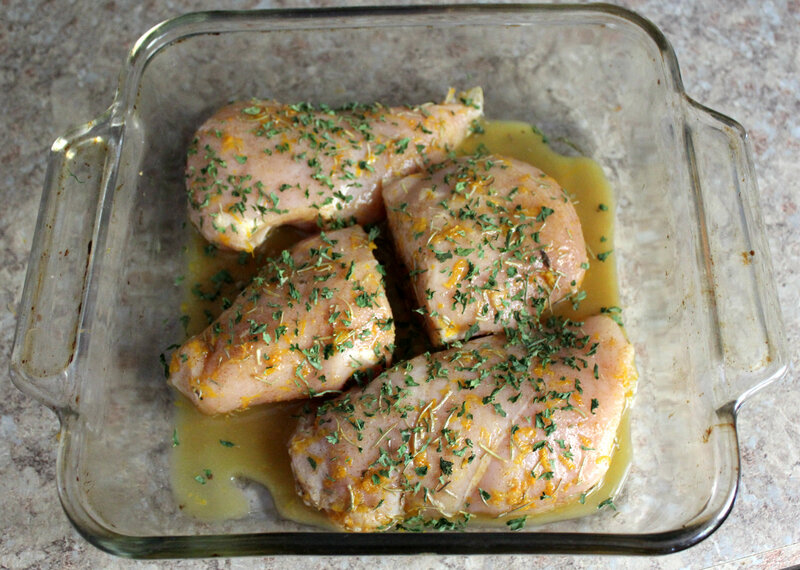 I am making that orange chicken right now and I am loving the smells coming from the oven up to my room! They are “sweet” in the sense that they are awesome, but they actually aren’t very sweet in taste! Haha! Awesomeness is what I was referring too! I love plantains! The chicken and banana looks amazing! ooops 😀 we haven’t got them here. What do they taste like? 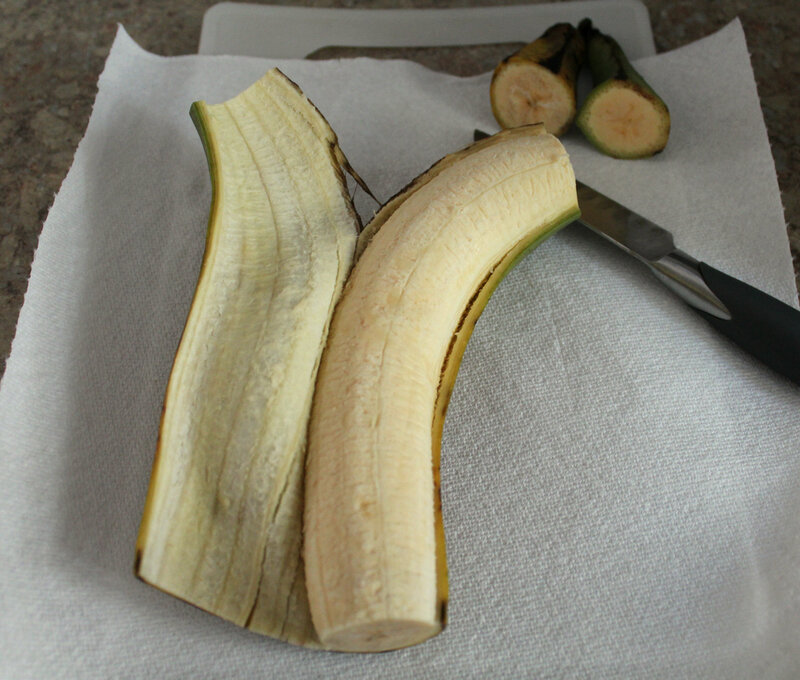 It is a much starchier version of a banana. It really has only a slight flavor. You can eat them green or when the yellow, but you have to cook them before your eat. As they yellow they get a bit sweeter, but when they are green they really don’t have much taste! What a unique, yet delicious sounding chicken recipe. 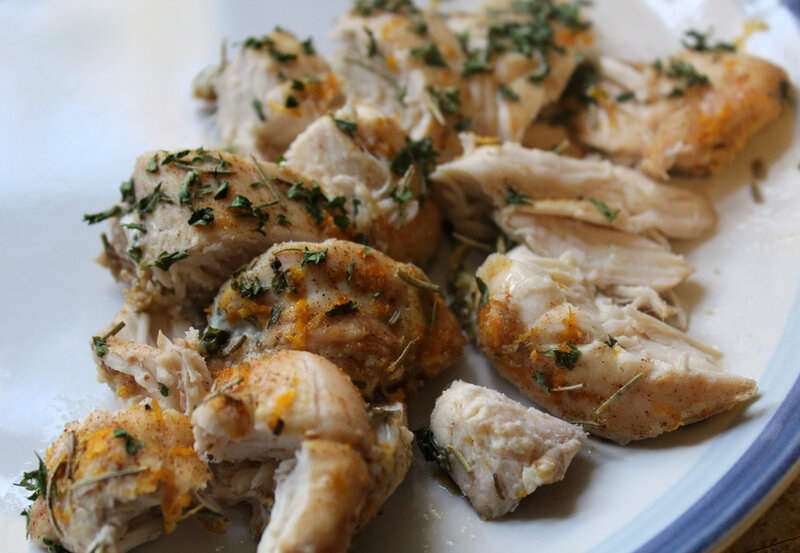 I’m curious, what did you pair the chicken with for dinner?